Georgina Kincaid has formidable powers. Immortality, seduction, shape-shifting into any human form she desires, walking in heels that would cripple mere mortals - all child's play to a succubus like her. Helping to plan her ex-boyfriend's wedding is a different story. Georgina isn't sure which is worse - that Seth is marrying another woman, or that Georgina has to run all over Seattle trying on bridesmaid dresses. Still, there are distractions. Georgina's roommate, Roman, is cluttering her apartment with sexual tension. 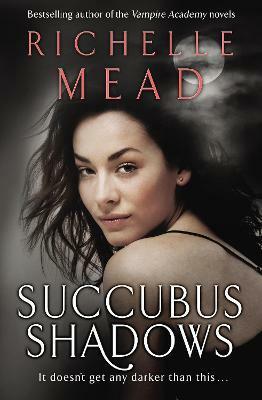 Then there's Simone, the new succubus in town, who's intent on corrupting Seth. But the real danger lies in the mysterious force that's visiting her thoughts, trying to draw her into a dark, otherworldly realm. Sooner or later, Georgina knows she'll be too weak to resist. And when that happens, she'll discover who she can trust, who she can't...and that Hell is far from the worst place to spend eternity. "Skilfully handled... a pacey read worth getting immersed in"